In April 1945, as Partisan units approached the camp, the Ustaše camp supervisors attempted to erase traces of the atrocities by working the death camp at full capacity. On April 22, 600 prisoners revolted; 520 were killed and 80 escaped. Before abandoning the camp shortly after the prisoner revolt, the Ustaše killed the remaining prisoners, blasted and destroyed the buildings, guardhouses, torture rooms, the "Picili Furnace", and the other structures. Upon entering the camp, the partisans found only ruins, soot, smoke, and dead bodies. During the following months of 1945, the grounds of Jasenovac were thoroughly destroyed by prisoners of war. The Allied forces captured 200 to 600 Home Guard members. 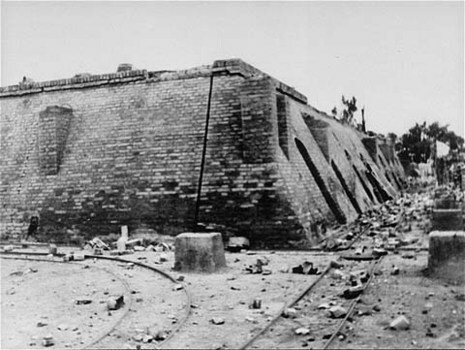 Laborers completed destruction of the camp, leveling the site and dismantling the two-kilometer long, four-meter high wall that surrounded it. 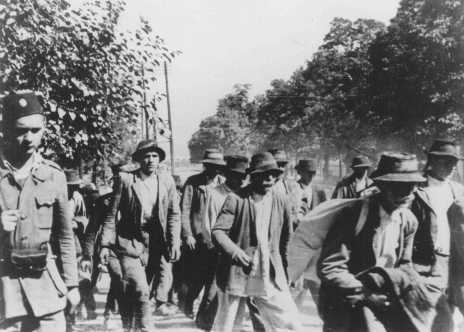 As the Partisan Resistance Movement under the command of Communist leader Josip Tito approached Jasenovac in late April 1945, several hundred prisoners rose against the camp guards. Many of the prisoners were killed; a few managed to escape. 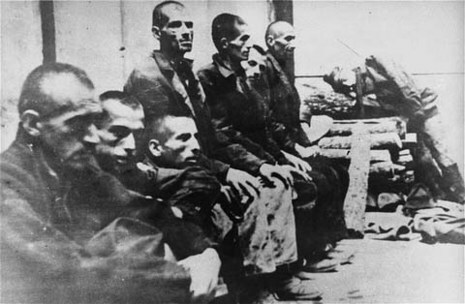 The guards murdered most of the surviving prisoners before dismantling the last three Jasenovac camps in late April. The Partisans overran Jasenovac in early May 1945.